The hostel has the full package: super clean, quiet while sleeping, party if you want to, well equiped kitchen, an awesome breakfast menu and an extremly friendly staff; they are willing to help you with all your questions. Perfect stay in Cranky Croc Bogota. 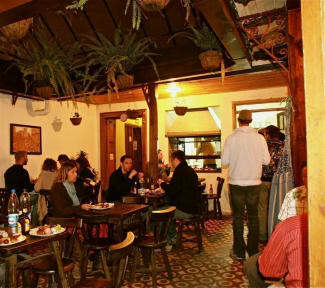 Friendly and helpful people, good food and drinks, perfect location in the old town with many restaurants and cafes around. Totalmente recomendable! El personal fue muy amable la ubicación súper limpia. Las duchas tienen agua caliente y una buena presión. El hostal queda en la ciudad vieja a donde hay muchas restaurantes alrededor. También el desayuno fue rico con un precio económico. El hostal es súper grande entonces no había una atmósfera tan familiar pero aun así bueno. Das Hostel ist wirklich super. Wir haben uns mega wohl gefühlt. Tolles Frühstück gegen einen geringen Preis. Super WLAN und entspannte Atmosphäre. Die Mitarbeiter sind sehr aufmerksam und sehr hilfsbereit. Die Lage ist ebenfalls mega gut. Ein Supermarkt ist ganz nah, bis zum Monserrat ist es 10 min. Zu Fuß. Bier usw. ist alles im Hostel erhältlich. Wir kommen gerne wieder! Tolles Hostel mit leckerem Frühstück. Nettes Personal und sehr saubere Zimmer. Nice hostel and great free walking tour twice a day. The room was really dark and the beds very uncomfortable, it was very cold during the night. The facility room has no comfortable facilities to chill. All in all it was clean and the staff was nice.